Salt Lake City isn’t the biggest metropolis in the country, but that just makes it easier to get around, explore and become involved in its many diverse neighborhoods. In the following pages, you’ll find a quick introduction to each ’hood, as well as trivia, LGBT highlights and more for those who might think they’ve seen it all. Downtown SLC is a mix of big-name stores and small-town charm. Shops along 300 South (aka Broadway) trend toward the boutique and the antique, while Main Street is a melting pot of locally owned stalwarts such as Atlantic Cafe & Market (325 S. Main, 801-524-9900, AtlanticCafeMarketSLC.com) and Edinburgh Castle Scottish Imports (124 S. Main, 801-364-1406, EdinburghCastle.com), along with high-end national names like those at City Creek Center (50 S. Main, ShopCityCreekCenter.com): Brooks Brothers, Tiffany’s and Rolex, to name a few. The number of office towers also makes downtown one of the best spots to grab lunch—there are almost a dozen sandwich shops in the city center, plus pizzerias, Mexican restaurants, brewpubs, Greek fare and more. 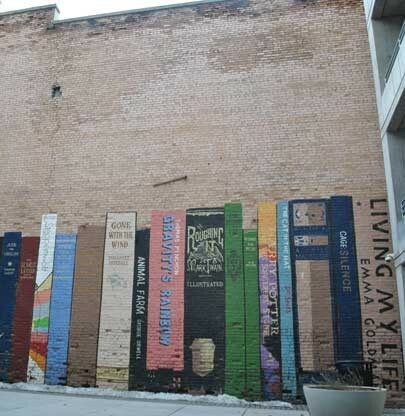 The wall of the building that houses Eborn Books (formerly Sam Weller’s Bookstore) at 254 S. Main is the canvas for a giant mural featuring the spines of classic books and Utah cult favorites. 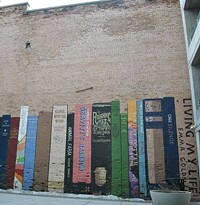 To see it, cut through the alley south of the 222 Building on Main Street and hang a left. The rebirth of downtown isn’t quite complete—two new performing-arts spaces are in the works. For now, downtown is a mix of history and the future: A stroll between 300 South and 100 South allows one to peer at state-of-the-art structures and catch a glimpse of the street’s past in yet-to-be-developed buildings. And strolling is definitely encouraged—there’s almost no off-street parking on Main Street, and metered stalls can be hard to find on busy days. Your best bet is to park farther east or west along 300 South and take in local gems like Q Clothing Boutique (215 E. 300 South, 801-474-2000), or settle in at a larger downtown pay lot and take Trax (it’s free in the downtown area), rent a bike or put some steps on the pedometer. The 9th & 9th area is a cornerstone of Salt Lake City, both for those who live near it and those who just like to visit. With coffee shops, restaurants, yoga and pilates studios, shops and boutiques, there’s something for everyone—whether you know what you’re looking for or not. The neighborhood is full of artistic talent, and much of it is on display for those who wander through. A giant colorful mural adorns the west side of the Dolcetti Gelato building (on the southeast corner of the 9th & 9th intersection) and is a popular photo op. On the right day, you can also find a large metal velociraptor statue in a neighboring front yard—though Rapty, as he’s known, has been shy to make too long of an appearance ever since he was kidnapped and found abandoned in an alley in late 2013. While the area is constantly upgrading and expanding, construction projects are careful to never become an eyesore. All the buildings have stayed true to the aesthetic tune that’s made 9th & 9th special for so many years. The peace, quiet and great sense of community lend to an easily walkable neighborhood that’s perfect for a nighttime stroll with the dog, or an easy jog with lots of “they just don’t make ’em like this anymore” houses to admire. 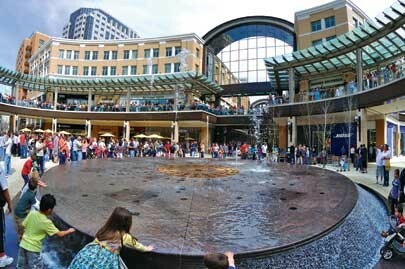 Salt Lake City’s center started drifting west with the 2002 Winter Olympics-era construction of The Gateway outdoor mall (18 N. Rio Grande St., 801-456-0000, ShopTheGateway.com). In addition to shopping—a combo of national chains and local offerings—the mall is home to restaurants, a bar, a movie theater, a planetarium and a children’s museum. Two Trax stops serve The Gateway, which is across the street from EnergySolutions Arena, home to the Utah Jazz and arena concert tours. Club Sound (579 W. 200 South, 801-328-0255, Facebook.com/ClubSoundSLC) hosts gay night Gossip every Friday, held down by resident DJ Naomi. And just across the street is Metro Bar (540 W. 200 South, Facebook.com/MetroBarSLC) and its gay-friendly Fusion Saturdays. The nooks and crannies in this southwest corner of downtown are packed with charming shops and tasty eateries. Pierpont Avenue, between 200 South and 300 South, is a warehouse row of artisan shops, tailors and design studios. In the summer, Pioneer Park (300 South and 300 West) is home to the huge Downtown Farmers Market on Saturdays and the Twilight Concert Series on Thursdays, so the nearby coffee shops and restaurants are always buzzing. 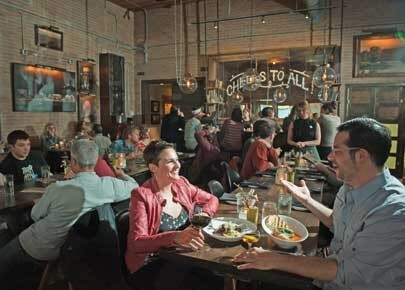 A little farther south is the Granary District, Salt Lake City’s grass-roots, up-and-coming hub of music, food and local shops. The RubySnap cookie shop (770 S. 300 West, 801-834-6111, RubySnap.com) and all-ages converted-garage venue Kilby Court (741 S. Kilby Court, 801-364-3538, KilbyCourt.com) are year-round favorites, and between June and October, the area around 700 South and 300 West transforms into a pop-up market and festival space, complete with live music, a beer garden and retail shops housed in converted shipping containers. Sugarhood can loosely be defined as the neighborhoods heading east from State Street between 1300 South and 2700 South. State Street is a major thoroughfare to get to and from downtown, and also features hidden treasures in its many eclectic shops and eateries. One of the first subdivisions in Salt Lake City was Perkins, around 1700 South and 1000 East. The houses were primarily built before 1900, when the streetcar made travel around town convenient. Homes here are larger than those in the surrounding neighborhoods, and the area is a perfect microcosm of Sugarhood: large houses next to smaller ones, nestled among pocket parks, businesses, coffee shops, supermarkets and brand-new condos. State Street is home to pawn shops, tattoo parlors and local watering holes, plus three of the city’s most active live-music venues—Bar Deluxe, The State Room and Burt’s Tiki Lounge—all between 600 South and 800 South. The street also provides a chance to explore a number of diverse flavors: curry, Philly cheesesteaks, Thai, even Ethiopian fare—and the taco carts that line State Street are renowned, and for good reason. One of Salt Lake City’s worst-kept secrets is the blink-and-you’ll-miss-it stretch that is 15th & 15th. 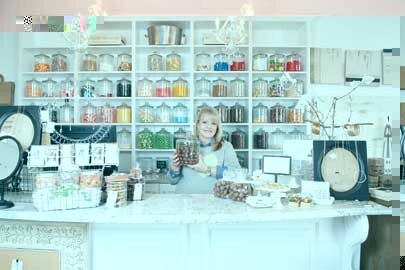 It’s a one-block cluster of restaurants, galleries and shops, all tucked away in the middle of tree-lined streets and quaint residential houses. It only happens for a few weeks a year, but just south of the 15th & 15th stretch lies Glen Arbor Street (1735 S. 1500 East), better known as Christmas Street. From the first week of December through the end of the month, nearly every house in this cul-de-sac goes all out with holiday decorations, complete with a huge, festive tree at the end. The lights go on when it gets dark to show those driving by that the holiday tradition is still alive and well. 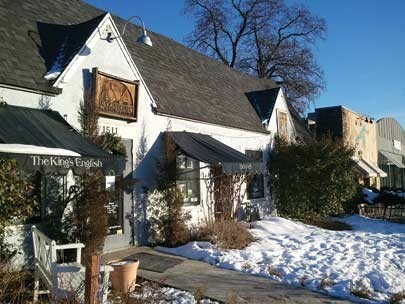 The King’s English Bookshop (1511 E. 1500 South, 801-484-9100, KingsEnglish.com) hosts the SLC Lesbian Book Club, which meets the first Wednesday of the month at 7 p.m. The books aren’t always strictly LGBT-themed, but definitely inspire discussion—past selections have included The Color Purple, Alice on My Mind and Summer Sisters. Though everything has been updated over the years, one of the unchanging impressive things about the businesses is how small they are. 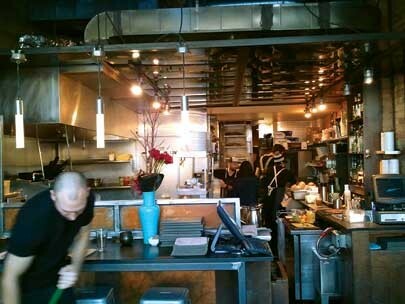 Shops converted from houses, and restaurants with fewer than 20 tables make for cozy experiences all around. And even if you have to wait for a table, there are plenty of other places to explore, and none of them are so far that you’ll miss your name being called.